Reinforce fundamental skills for each grade level with Smart Alec workbooks. Children will review essential skills and explore concepts taught in the upcoming grade through enjoyable, full-color worksheets. 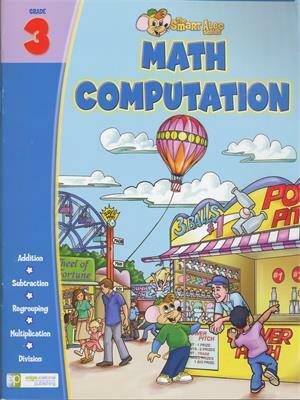 Math Computation Grade 3 presents problems that reinforce basic number concepts and math application skills. This grade emphasizes counting, mental addition, and understanding both multiplication and division. 48 pages with answer key (student pages with correct answers overlaid). 3rd Grade.